Important update you will all enjoy: we have figured out how to end the film! This is a huge breakthrough for us so get excited. IT’S EXCITING! 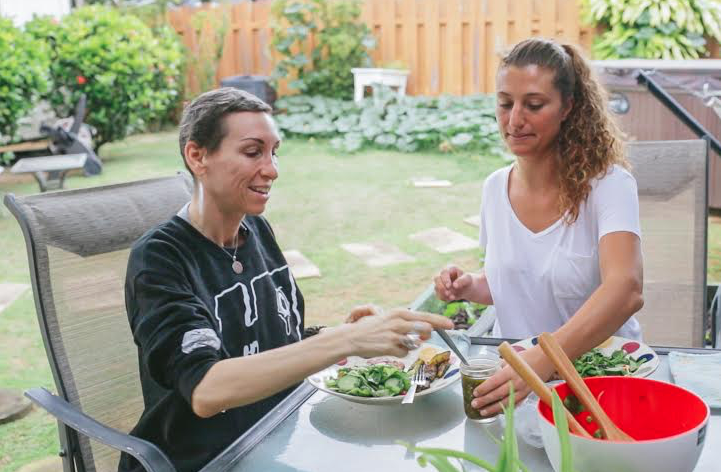 Christa wrote a piece for Aloha Cancer Project to help her comrades with eating clean. She only just really learned how to do it this past year to save her life. 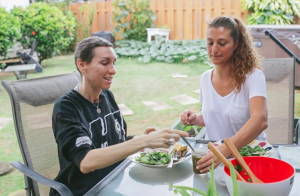 While she was a very strict organic vegan when she was first diagnosed and through treatment, she has slowly tapered back a bit in to a more mindful eater. Organic whenever possible, vegan as often as possible, but allowing some enjoyment in her busy city and work life. 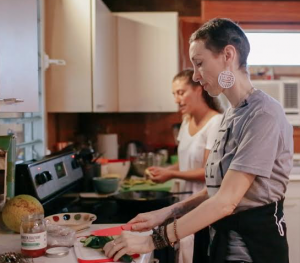 You can read her piece on eating clean here. 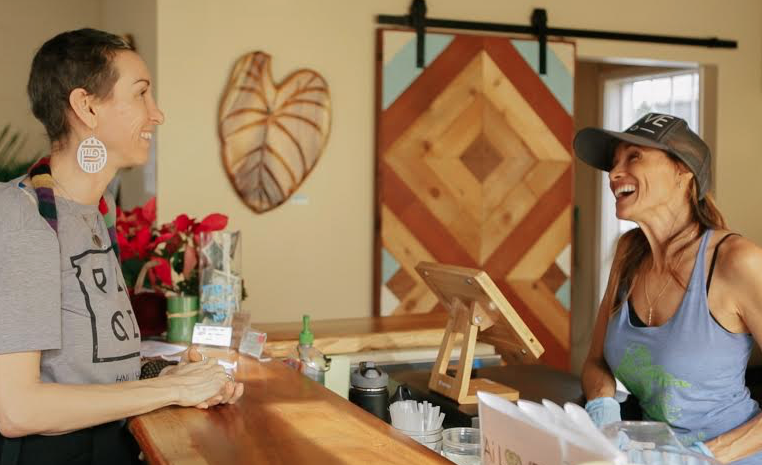 Christa talking with Ai Love Nalo owner Malia about vegan food. 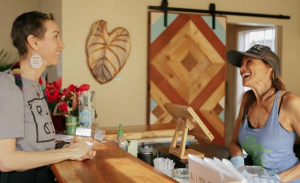 This is hands down Christa’s most favorite restaurant on the island. FOOD MATTERS! It’s very important when you are sick to be very aware of the food you are eating. Nothing processed! All organic! Eat from earth! Wash everything!